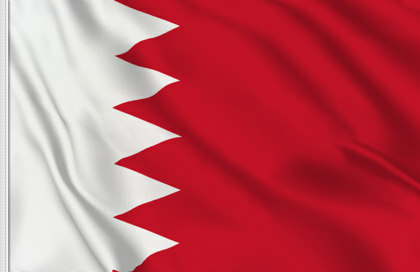 Buy the Bahrain table flag. The Bahraini table flags are ideal to be placed on the desk, to remember a trip or to welcome someone who visits us coming from Bahrain . The Deskotp flag of Bahrain is sold individually without a stand. Stands can be purchased separately. 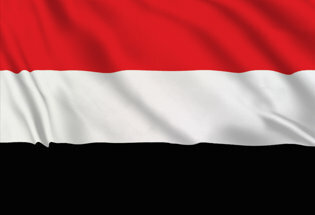 The national flag of Bahrain consists of a white band on the left, separated by a red line. 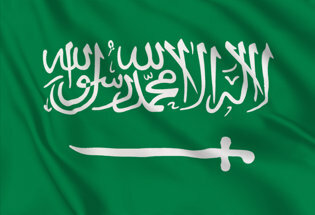 The five white triangles symbolize the 5 pillars of Islam. 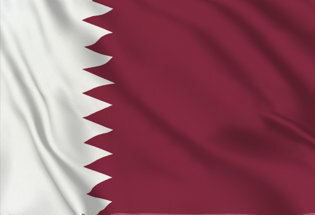 Sometimes he is mistaken for the flag of Qatar, but that Qatar flag is pink, not red, has more points (9 points) and usually has a much greater length-to-width ratio. 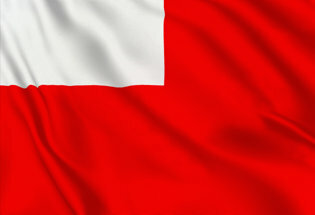 Bahrain's older flags used to be entirely red, but a white stripe was added in the 19th Century to indicate truces Bahrain had made with neighboring countries. The serrated triangles were added to the white strips to distinguish the Bahranian flag from the flags of its neighboring countries.